The Federal Housing Finance Agency (FHFA) recently released their latest quarterly Home Price Index report. 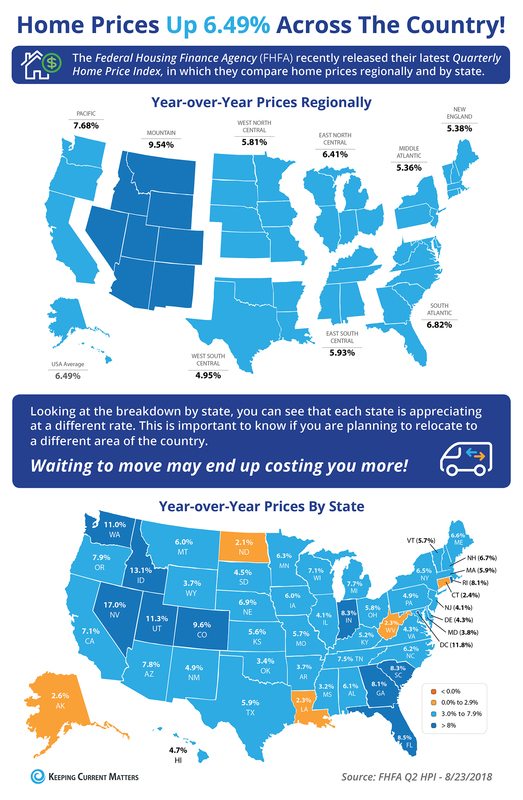 The report shows both regional and state home price comparisons. Based on the latest numbers, If you plan on relocating, waiting to move may end up costing you more as home prices continue to increase! Waiting to buy a new home may cost you more, Washington home prices are up 11% year over year, so don't wait to make your next home purchase! Contact us and visit our Communities to book an exceptional Rush home today.